- Distinctive smoke and sweet spices with a vanilla complement. - Direct and fresh with powerful smoky malt and vanilla hints. - Full and appetising with a distinctive spicy burst. 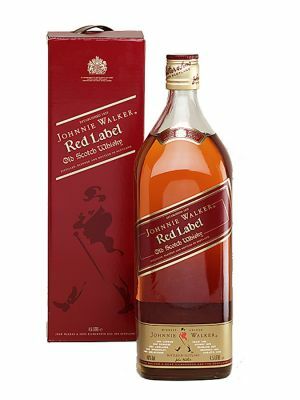 JOHNNIE WALKER RED LABEL is a rich full-bodied blend, combining up to 35 of the finest aged single malts and grain whiskies. Its youth and vibrancy make it perfect for mixing something few other spirits can do without losing their true character. Wether it is served with ginger ale, poured with soda, or stirred with sour, JOHNNIE WALKER RED LABEL promises an exceptionnal whisky experience.